Consumers think of it as ‘appyfication’, whilst those who are in the know refer to it as ‘true digitisation’. 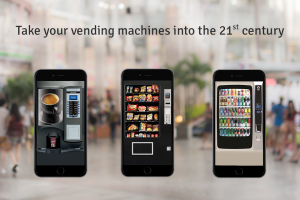 Due to increased customer demand, nearly 80% of vending operators have enabled cashless payment system into their vending machines for easy and convenient method of payment. But what do operators do to reduce the operational cost, increase sales and build loyalty among their consumers? Kwikpay provides a complete solution comprising of inventory management, cash, cashless report, consumer profiling, health check and much more. ‘With Kwikpay, operators and brands can easily transport their existing vending machines onto the app, run loyalty programmes, entice customers to repeat orders and run promotions’, CEO Neeraj Bhatia told PV. Kwikpay enabled machines do not depend on Wi-Fi or Internet connectivity locally. Operators can remotely track machine’s inventory, cash flow and the health of the machine. On the other hand, customers can simply use the Kwikpay app to select products and pay seamlessly. Kwikpay accepts payments made with credit cards, debit cards, prepaid cards as well as all mobile payments including Apple Pay, Google Pay and Paypal. Furthermore,the Kwikpay solution works seamlessly with your existing card readers and vending management software. Brands often spend huge budgets on sampling and distributing free products in order to get feedback. A vending machine is the perfect place to undertake a sampling. In the current scenario, the problem is that you cannot have free-vend and a medium to collect consumer feedback, however using Kwikpay is the solution, you can supply a product for free, on the basis that, in exchange, the consumer has to answer a few questions about the free product. Vending operators can offer this facility to the brands and I’m sure the brands will be happy not just to work with the operators by providing free stock, but also, maybe pay them, because this is vital data. With the ease and convenience of integrating your machines with Kwikpay, operators can now fully concentrate on building the success of their business using cashless payments, telemetry system and consumer data analytics. For a detailed overview of all the product features, visit us at Stand 5 at The National Motorcycle Museum, Birmingham, on 9th April from 10am to 4 pm or write to us at kwikvend@kwikpay.com and we can set up a demo for you.